Eerdmans Books for Young Readers, 9780802854728, 36pp. Ji-yun Jang currently splits her time between writing picture books and developing learning programs for children. Her previous books include My Body Got Stretched, GomGomi's Promise, and Spinning Wheel, Spinning Wheel, Turn Around.Tan Jun was born in Hunan, China. His works include The Story of the Fox, The Happy Prince, and The Family Tree. 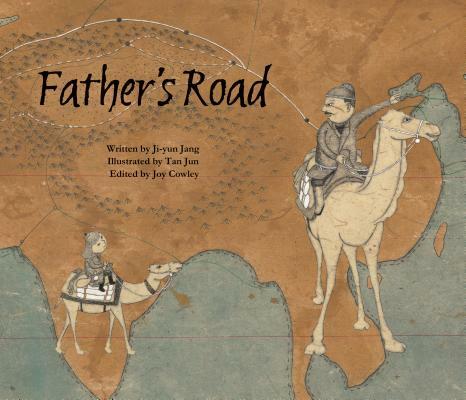 In Father's Road, Tan Jun emphasizes black and white to express the difficult journey through the Silk Road and the atmosphere of the time period.